Salman Khan has not been approached for Remo D'Souza's ABCD 3. Instead, the 51-year-old actor is doing another film with the choreographer-turned-filmmaker, reports news agency PTI. Dharmesh Yelande, who has worked with Remo D'Souza in both the ABCD films, told PTI: "The talks are on for ABCD 3 it will start by the end of the year or next year. There is another film with Remo sir. He has told us about this film (with Salman Khan). Talks are on but it's not the right time to say anything until we get the confirmation." Thanks to Dharmesh, now we know that Salman Khan hasn't been approached for ABCD 3. Actress Jacqueline Fernandez, who starred in Remo's A Flying Jatt, has also been approached for the film which features Salman Khan. Recently, Jacqueline told PTI that she hoped that the project finalises soon. "Fingers crossed. Pray for me," she said when asked about the status of her film with Salman. If both the actors come onboard, it will be Jacqueline's second film with Salman Khan after 2014's Kick. Meanwhile, Remo has choreographed Salman in songs like Selfie Le Le from Bajrangi Bhaijaan and The Radio Song from Salman's upcoming Tubelight. 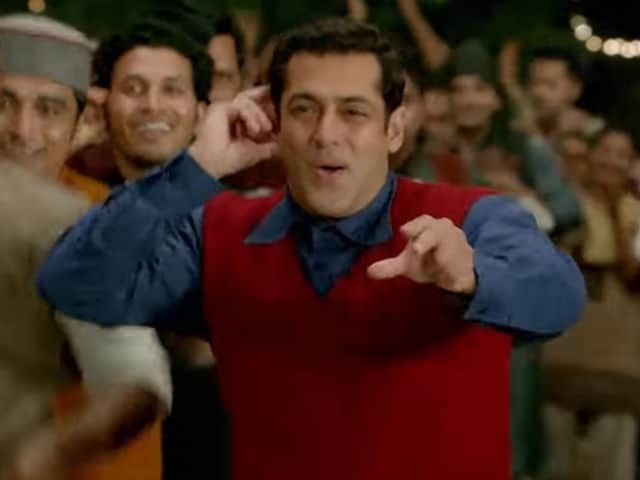 Now, Salman Khan's swag may be off the charts when he puts on his dancing shoes but it is nowhere near the skill audiences have come to expect from the ABCD series, which has also been dubbed as India's Step Up. Remo made the first film in the series, ABCD: Any Body Can Dance, in 2013 with Prabhu Deva in the lead role and dancers like Salman Yusuff Khan, Prince, Punit Pathak and Dharmesh Yelande (participants of reality show Dance India Dance) as the members of Prabhu Deva's dance group. In 2015, Remo introduced Varun Dhawan and Shraddha Kapoor to the ABCD series. Salman Khan's Tubelight releases on June 23. The film is directed by Kabir Khan.